and I am against the sea. in a transport of joy. 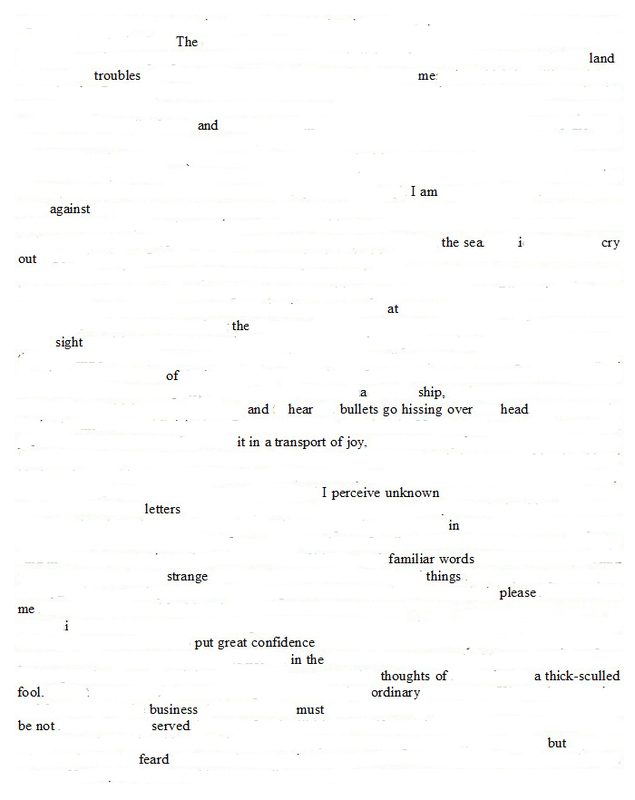 Erasure poem derived from The Diary of Samuel Pepys, Thursday 3 May 1660. An especially fine one! (In the last lines, a personal mantra.) I feel a coherent personality emerging from these erasures, perhaps Pepys’ own in a cracked glass. Thanks. Good to hear you’re getting that impression — I am too. It’s closer to Blake than Pepys, I think.